At its most basic, philosophy is about learning how to think about the world around us. It should come as no surprise, then, that children make excellent philosophers Naturally inquisitive, pint-size scholars need little prompting before being willing to consider life's big questions, however strange or impractical. Plato & Co. introduces children--and curious grown-ups--to the lives and work of famous philosophers, from Socrates to Descartes, Einstein, Marx, Freud, and Wittgenstein. Each book in the series features an engaging--and often funny--story that presents basic tenets of philosophical thought alongside vibrant color illustrations. 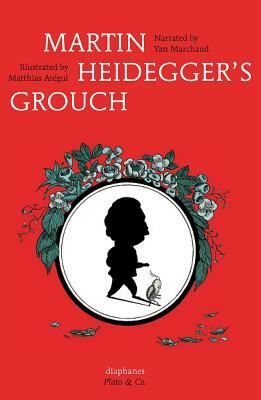 In Martin Heidegger's Grouch, the newest addition to the series, we follow a scared little beetle named Martin trying to find his way through the dead body of German philosopher Martin Heidegger. As Martin the beetle treks along Martin the corpse's skeleton, he asks himself why do I exist?--wondering as he wanders about the condition of being in the face of death and about the meaning of his own existence. On his way to find answers to these existential questions, Martin crosses paths with a lavish snail named Epicure, a frenzied community of ants subjected to grueling working conditions, a serene bed of worms, and even the ghost of the philosopher himself. Through his conversations with these creeping, crawling interlocutors--each of whom shares their personal conception of existence--little Martin is ultimately released from his existential crisis. Yan Marchand is a writer and philosopher who lives and works in Brest. Matthias Aregui is an illustrator of children's books who lives and works in Lyon. Anna Street is the translator for Plato & Co. She holds a PhD from the Universite Paris-Sorbonne (Paris IV) and the University of Kent in Canterbury.